After being placed for adoption at birth, Bennett’s adoption journey has been winding and full of twists and turns, but she reflects on her many blessings — raising three wonderful daughters alongside her loving husband of 39 years. Her passions are writing and making a difference in young people’s lives. Helping children see that they have voices that truly matter is her heart-felt desire. She believes that loving out loud and treating one another with kindness and respect is a way of positively changing the world. JoAnne’s most recent credits include a contribution to the book, Adoption Reunion in the Social Media Age, An Anthology, a story in a book titled, One for the Road and a publication in Chicken Soup for the Soul: Teens Talk Middle School. THOMAS PARK CLEMENT was born in Seoul, Korea in 1952. He received a Psychology Degree from Indiana University (1978) and two Electrical Engineering Degrees from Purdue University (1985/1987). Clement also attended the University of Delaware, Bonn University (Bonn, Germany) and Berkshire College (Pittsfield, Massachusetts). He is currently President / CEO of Mectra Labs Inc. started in 1988, a manufacturer and distributor of laparoscopic surgical devices. Additionally he is President/CEO of Truepeny Publishing Corp, Acroventions Laboratories LLC and Elegro Inc. In 2012, Clement published his memoir Dust of the Streets. Clement is involved in humanitarian missions to countries in need of food and medicine. He received the President’s Call to Service Award 2014. BRENDA COTTER is a lawyer, an adoptee, and the parent of two beautiful and amazing daughters adopted from China. She is thrilled to participate in this project with her daughter Charlotte. Brenda was born in 1956, grew up in West Springfield, MA and currently lives in Newton, MA. CHARLOTTE COTTER was adopted at five months old from Zhenjiang city, Jiangsu Province China and grew up in the Boston area. She is one of the co-founders of China’s Children International, a global support and networking organization that aims to empower Chinese adoptees all over the world by providing an inclusive community for all of us who share this common beginning. She is currently an undergraduate at Yale University where she plans to major in East Asian Studies with a focus on China. In her free time, she loves volunteering in the community, practicing her Chinese by watching Chinese films, and walking her two dogs. She would like to dedicate her submission to her mother, Brenda, who has always been a supportive and guiding force in her life. LAURA DENNIS was born and adopted in New Jersey and raised in Maryland. She earned a B.A. and M.F.A. in dance performance and choreography, but gave up aches and pains and bloody feet in 2004 to become a stylish, sales director for a biotech startup. Then with two children under the age of three, in 2010 she and her husband sought to simplify their lifestyle and escaped to his hometown, Belgrade. While the children learned Serbian in their cozy preschool, Laura recovered from sleep deprivation and wrote Adopted Reality, A Memoir, available on Amazon. She blogs at Expat (Adoptee) Mommyand The Lost Daughters. PETER DODDS was born in Germany, to a German mother and father. Relinquished to an orphanage, he was adopted by American parents, one of 10,000 German children adopted by United States' citizens during the Cold War. Peter's memoir, Outer Search Inner Journey, is the first book written on international adoption by a foreign-born adoptee. An avid writer and passionate speaker, Peter's delivered keynote addresses in New Zealand and Canada while his writings have appeared in numerous publications and websites. A former Army Ranger, he's now working on adapting Outer Search Inner Journey to film. Born in the US and adopted at 7 months, Mei-Mei Ellerman studied at Boston University, the University of Geneva, and the Liceo Michelangiolo in Florence. She holds a doctorate in Romance Languages and Literatures from Harvard. After 30 years of teaching Italian literature at Boston institutions, she now focuses on research, writing, social activism and Reiki. A Scholar at the Brandeis Women’s Studies Research Center and founding director of Polaris Project [leading anti-human trafficking NGO], Mei-Mei is deeply committed to abolishing modern-day slavery. She also serves on the boards of Chinese Adoptee Links International and Global Generations, regularly contributing to the ChineseAdoptee.com blog. Co-founder of the AN-YA Project, her involvement in adoption issues includes fighting against fraudulent adoptions and for universal access by all adoptees to their personal records. Mei-Mei is working on two memoirs based on years of worldwide research and travel: Circles of Healing, Circles of Love: A Labyrinthine Journey in Search of Connections, the 27-year-long search for her Chinese biological origins, and a cultural biography covering 160 years of her bi-racial adoptive family history, In Pursuit of Images and Shadows: A Chinese Daughter Ventures into her Mother’s Past. Most recent publication: Dedication and chapter in Perpetual Child: Adult Adoptee Anthology. MING FOXWELDON was adopted from Kunming, Yunnan, China when she was three and a half years old. She left China and moved to Wisconsin, where she met her older sister, and younger brother (adopted from another country). After a few years, her family moved to New Hampshire, where she spent much of her childhood. Foxweldon attended both public and private schools. After graduating high school she chose to study at the University of Vermont. Four years flew by, she graduated with a B.A. (Chinese Language (Mandarin) and also minored in Anthropology. In 2011, Foxweldon chose to study abroad in China, (Kunming), for 6 months. Additionally her involvement with China’s Children International, as member and new committee member, opened new doors. Two years later she returned for more adventures in China and its neighboring countries. As a Chinese adoptee, her interests in China have only grown from art to zoo life. Her hopes are to continue this important work, and share ideas to others so that they may be more informed. Foxweldon anxiously waits for what the future holds. She thanks the past for teaching her how to be present and what she can do to be better for the future. SUZANNE GILBERT was given this name before she was relinquished by her mother and placed in foster care. She has reclaimed it for her writing. She shares many of the hurdles of international adoptees because her first mother lives overseas. That mother found her with the first phone call occurring one afternoon when Suzanne’s adoptive mother was visiting – launching a journey for all of them. Eventually Gilbert searched successfully for her birth father and siblings. It was through search and reunion that she learned her ethnicity is Cherokee, Irish, Iroquois and Jewish. Today she is also an adoptive stepparent. One of the interesting twists in her blended family is that her adopted stepsons are part Iroquois, too. Her biological kids are the ones who strangers think are adopted because they are biracial (half Thai). She worked as a journalist in Tokyo, Boston and New York, and spent part of her childhood on the coast of Maine. Her first novel Tapioca Fire is about an international adoptee and the crime her quest uncovers. It traverses the rich search & reunion subculture populated with sleuths, search angels and political activists. Gilbert is working on a second novel that intertwines the stories of secret fathers. Adopted in 1968 at the age of one, Rosita is a transracial, Korean-American, Holt International adoptee. Her road has been speckled with Puerto Rican and Appalachian relatives, including her perfectly-blended, multiracial sister, the natural child of her adoptive parents. While quite content with her role as a “Tennerican,” her curiosity has grown recently as her children explore their own ethnic identities. She has discovered that her children, the second generation of adoptees, have inherited her racial ambivalence. As a result, Rosita has recently started her search for her natural family. With the help of G.O.A.’L., she visited Korea in August 2014 and fell in love with her birth country. When she is not supporting her children on their individual paths, Rosita spends her time as an art educator, ceramicist, art photographer and activist. She is passionate about issues of race, gender and adoption. She shares her adventures as an adoptee and parent on her blog, mothermade. LYNN GRUBB was placed into closed domestic adoption as an infant and adopted through the Cradle of Evanston, Ilinois. She grew up with her adopted brother and parents in warm and cheerful Centerville, Ohio. She graduated from Wright State University and has worked in the legal field for the majority of her career, including volunteering as a child advocate for her local Juvenile Court, CASA/GAL program. Lynn has been married to Mark (her biggest supporter) for 23 years, has a 20 year old son named Matthew and became an adoptive parent to a beautiful daughter in 2005. After finding her maternal birth family in 2006, Lynn became a contributing author to an all-adoptee writing project, Lost Daughters. Since that time, she has contributed to several anthologies, including Perpetual Child: Dismantling the Stereotype, Adoption Reunion in the Social Media Age, The Lost Daughters: Writing Adoption from a Place of Empowerment and Peace and Called Home: Lost Children of the Indian Adoption Projects. Lynn is passionate about adoptee rights and genetic genealogy, having taken three genetic DNA tests and blogging about her results at her personal blog: No Apologies for Being Me. Lynn is still searching for the paternal side of her family. LEE HERRICK is the author of This Many Miles from Desire and Gardening Secrets of the Dead. His poems and essays appear widely, in literary anthologies and college textbooks such as Indivisible: Poems of Social Justice and Visions Across the Americas. He was born in Daejeon, South Korea and adopted at ten months old to California in the United States. He is a professor, poet, and parent. He lives with his wife and daughter in Fresno, California, where he teaches at Fresno City College and in the MFA Program at Sierra Nevada College. SOOJUNG JO is a contributing writer for the Lost Daughters blog (www.thelostdaughters.com) and contributing author for several adoption-related anthologies in development. She wrote for the now-retired blogs Faiths and Illusionsand Grown in My Heart. Soojung’s connection to adoption is threefold: adoptee, biological mother, and adoptive mother. She was reunited with her first family in 2013, and is now learning to navigate post-reunion life with both Korean and American families. A memoir about her adoption and reunion experiences is in development. Soojung lives in Southern California with her husband and four children, who supply constant inspiration and entertainment. LUCY CHAU LAI-TUEN made in Hong Kong and exported to the UK as a transracial adoptee. Lucy is a dyslexic actor, published writer, filmmaker, trainer and transracial adoptee advocate, who loves Dim sum, Yorkshire puddings and tea. First professional job, female lead in the British feature film PING PONG (1987), directed by Po Ch’ih Leong. First UK feature to look at the history and issues of the British-Chinese community. Radio credits include: Words On A Night Breeze, Bound Feet and Western Dress. 2011 Lai-Tuen wrote & performed her solo theatre piece There Are Two Perfectly Good Me’s: One dead, the other unborn, a play looking at the issues of growing up as a transracial adoptee. Lucy is hoping to tour internationally so is looking for a producer. Lai-Tuen is working on two new full-length theatre plays. DR. JEFF LEINAWEAVER is an internationally-known storyteller, and sustainability practitioner who works with leaders, organizations and communities on how to use story and storytelling to create change and influence the emergence of a more globally sustainable and socially just civil society. Through the power of story and the study of narrative, Jeff is a leading voice on how storytelling creates our social worlds and sculpts our identities. As a performing storyteller, Jeff shares in the telling of the old stories – myths, folk tales and fairy tales from many different cultures around the world. Jeff believes the old stories are alive and inform us on how to deepen our connection with each other, nature and our own mythic journey. Additionally, Jeff represents a first generation of internationally adopted scholars and social researchers studying and re-framing the conversation on international adoption, global citizenship and human development. Jeff holds a PhD in Human Development and Organizational Systems with a specialization in narrative systems and communication. His most recent publications on adoption include Storytelling Narrative Marginality – on Becoming a Global Human, and The Coordinated Management of a Culturally Diffused Identity: Internationally Adopted People and the Narrative Burden of Self. Writing as J.S. London, Jennifer Bao Yu ‘Precious Jade’ Jue-Steuck of Laguna Beach (Orange County), California, is a graduate of New York University’s Tisch School of the Arts and Harvard University, where she was a Bill & Melinda Gates Scholar. Born to a birthmother from Jiangsu Province, China, Jennifer was adopted by an American couple from Los Angeles in 1979. She is founder of Chinese Adoptee Links (CAL) International - G2, the first global group created by and for the 150,000 Chinese adoptees in 26 countries, and is a co-founder of their One World Blog (ChineseAdoptee.com). Inspired by her (adoptive) mother's life and battle with ovarian cancer, INSPIRATION ICE CREAM is a foodie memoir fundraiser to raise awareness about the effects of adoption motherloss and child bereavement. DAN MATTHEWS is a Korean adoptee currently living in Los Angeles and working in the entertainment industry. He was raised in the small town of Camarillo, an hour north of LA, with his parents Lynne, Paul, and Jamie (also adopted). He’s currently working as a producer for International Secret Agents, an Asian American entertainment and production company owned by Wong Fu Productions and Far East Movement. JOYCE MAGUIRE PAVAO, Ed.D., LCSW, LMFT, was the Founder and CEO of Center For Family Connections, Inc. (CFFC 1995-2012) in Cambridge and New York, Founder and Director of Riverside After Adoption Consulting and Training (AACT) 2012 to present, and PACT (pre/post adoption consulting and training) 1982 to present. Dr. Pavao has done extensive training, both nationally and internationally. She is a Lecturer in Psychiatry at Harvard Medical School, and has consulted to various public and private child welfare agencies, adoption agencies, schools, and community groups, as well as probate and family court judges, lawyers, and clergy. Additionally, she has worked closely with individuals, and families created by adoption, foster care and other complex blended family constructions. She has developed models for treatment and for training using her systemic, intergenerational, and developmental framework The Normative Crises in the Development of the Adoptive Family and her book The Family of Adoption (Beacon Press) has received high acclaim. Dr. Pavao has received many awards and honors, including the Children’s Bureau/U.S. Department of Health and Human Services Adoption Excellence Award for Family Contribution (2003) and the Congressional Coalition on Adoption award for Angels in Adoption (2000). KAYE was adopted, twice, both times in open, inter-family placements. Although all her parents are deceased, she was in reunion with her bio-mother for more than a decade prior to her death, and remains in reunion with her bio-siblings. After sampling a variety of career paths, from theatre & film to commercial insurance, Kaye finally found her calling in education. She currently teaches at the Middle and High School level, and spends time volunteering with various educational programs and numerous animal rescue groups. Kaye lives on a small farm where she spends her spare time gardening, beekeeping and tending to her cats, dogs, chickens and goats. KAREN PICKELL is a columnist and editor at Lost Daughters, a communal blog written by and for adopted women. She grew up in a closed adoption, but reunited with both of her birth parents as an adult. She is married to an adoptive father of two children from a previous marriage; together they have two biological children and one rambunctious dog. Karen has published adoption-related poems, essays, and stories, including those in Perpetual Child: Dismantling the Stereotypeand Lost Daughters: Writing Adoption from a Place of Empowerment and Peace, which she also co-edited. She holds a Master of Arts in Professional Writing with a concentration in Creative Writing. She aims by the end of 2014 to finish drafting the memoir that has been stalking her for the past several years. Besides reading and writing, she loves being in and near water, taking photographs, and making up harmonies to her favorite songs. JASMINE RENEE has been writing music on guitar and singing for over eight years. She is studying secondary education with an ESL endorsement and a minor in Spanish at the University of Northern Colorado. She hopes to travel the world teaching English. She is involved in a sorority, Alpha Sigma Alpha and the CUMBRES program as well, which is a scholarship program for teachers that give students the opportunity to receive an ESL endorsement on top of their major. She is very excited to be a part of the Dear Wonderful You, Letters to Adopted & Fostered Youthanthology. MATTHEW SALESSSES was adopted from Korea at age two. His most recent books are an essay collection, Different Racisms: On Stereotypes, the Individual, and Asian American Masculinity, and a novel, I’m Not Saying, I’m Just Saying. He has written for The New York Times, NPR, Salon, the Center for Asian American Media, Hyphen, and most often for The Good Men Project, where he is a columnist and Fiction Editor. ELIZABETH SEMONS is a freelance writer who just finished her memoir Strength of the Broken. Her memoir chronicles her life journey as an adoptee left to face the world alone. Elizabeth dreams of her story becoming a screenplay for television or film. She is currently working on a suspense screenplay called The Lies Beneath Bliss. When Elizabeth is not writing she is working at the District Attorney’s office. She is a Legal Assistant and has worked for Family Support for ten years. Elizabeth likes that she is helping families, but the real reward comes from helping children. Elizabeth is also a songwriter and aspires to become professional. She has used her songwriting abilities to escape from her reality since childhood. It is through song she expresses her pain, emotions and thoughts. She uses songwriting as a form of therapy but she also has a lot of fun creating the lyrics, melodies and stories. Elizabeth raised two children on her own. For many years she worked two jobs to make ends meet. Now that her children are grown, Elizabeth recently resigned from her second job to spend her time doing what she loves—writing. The creative world is Elizabeth’s passion. MAY SILVERSTEIN was born in Yiyang, Hunan Province, China and adopted when she was nine months old into a loving and supportive family. She attended the Hopkins School in New Haven, Connecticut, and is currently a freshman at the University of Chicago. 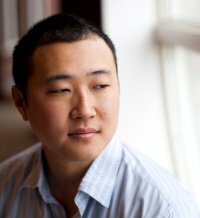 JOE SOLL 조 살, the author of Adoption Healing... a path to recovery 1 for adoptees, 1 for mothers of adoption loss and 2 for both, co-author of Evil Exchange, Fatal Flight andPerilous Passage, is a reunited adoptee, psychotherapistand lecturer internationally recognized as an expert in adoption related issues. He is director and co-founder of Adoption Healing, an international, non-profit organization consisting of over 470 adoption agencies, mental health institutions and adoption search and support groups in 8 countries, representing over 500,000 individuals whose lives have been affected by adoption. Adoption Healing is dedicated to educating the public about adoption issues and reforming current adoption practices. He has been portrayed as a therapist in a NBC Made-For-TV movie about adoption, played himself in the HBO Special "Reno Finds Her Mom", was featured in the 2000 Global Japan award winning documentary, "Adoption Therapist: Joe Soll" and in the MediaStorm 2011 documentary Broken Lines as well as profiled in the International Museum of Women. JULIE STROMBERG is a reunited adult adoptee who spent six weeks in foster care before being adopted as an infant. She loves zombie apocalypse shows, fancy food, and her hard copy of Roget’s thesaurus. A graduate of Loyola University Maryland, she holds a bachelor’s degree in journalism and currently works as a marketing writer and digital content strategist for a large investment firm. Fortunately, she has other writing projects going on to offset all of the boring financial stuff at the office. AMANDA H.L. TRANSUE WOOLSTON is an author, speaker, and licensed social worker with a Bachelor’s degree and a Master’s degree in social work. Amanda has served the adoption and foster care communities through individual and family clinical work, group work, writing and presenting, and working for positive policy change. Her writing and presentations have reached broad audiences through multiple books, magazines, major news and radio interviews, and conferences, and she has engaged with legislators at the state and congressional levels on adoption policy. Amanda is probably best known for her personal blog, The Declassified Adoptee. ANGELA TUCKER is a trans-racial adoptee, adopted from foster care – born in the South and raised in the Pacific Northwest. At the age of 25 she reunited with some of her birth relatives, and is still actively searching for another birth sister as is chronicled in the documentary, Closure. Angela holds a B.A. in Psychology, regularly gives keynote speeches at functions around the nation and is a contributing author for two adoption anthologies; Woven Together and Perpetual Child: Adult Adoptee Anthology; Dismantling the Stereotype. Angela's most recognized article is a piece entitled "Do Transracial Adoptees Know Anything About Transracial Adoption?" which fueled a twitter-storm and the ensuing hashtag #NPRgate. She also writes a column on Adoptees and ableism for The Lost Daughters and has been featured in Psychology Today, Adoptive Families Magazine, Slate.com, and Huffington Post. 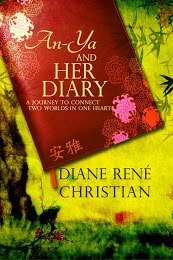 DIANE RENÉ CHRISTIAN founded the AN-YA Project in 2012, after publishing her debut novel, An-Ya and Her Diary. 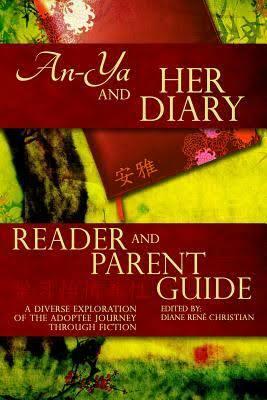 As the founder of the AN-YA Project, Christian has edited/published An-Ya and her Diary: Reader & Parent Guide as well as Co-edited/published Perpetual Child: Adult Adoptee Anthology, Dismantling the Stereotype. In 2014, Mei-Mei Akwai Ellerman joined Christian as the Co-founder of the AN-YA Project. 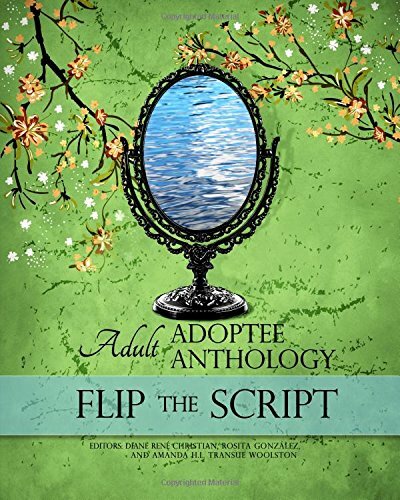 Together they continue to work towards “Lift ing the literary voices of adoptees”. 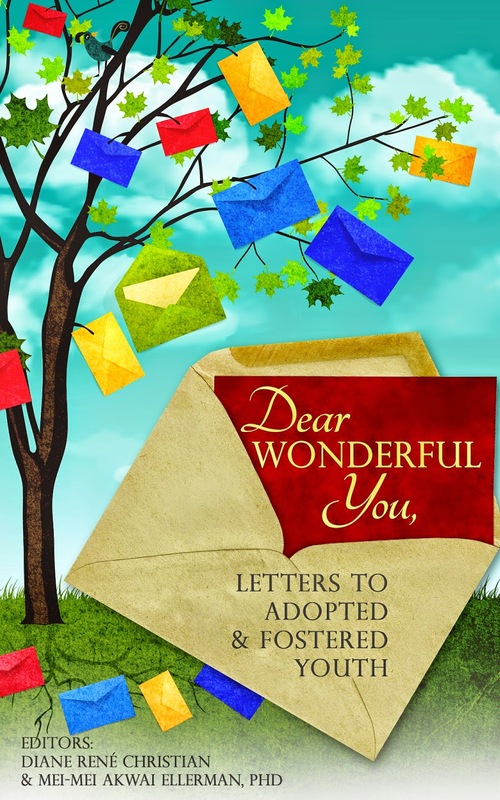 Dear Wonderful You, Letters to Adopted & Fostered Youth is the third book Christian has edited and published under the AN-YA Projectumbrella.